This is a loop the runs on both sides of the Arkansas River between 11th street and 71st street. 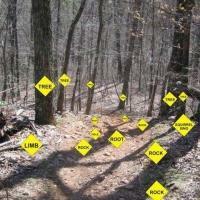 This trail is paved all the way. There is one good climb Westbound along 71st and a great downhill section off the East side of Turkey Mountain. There is also a cool steel bridge you can ride across at 31st street. 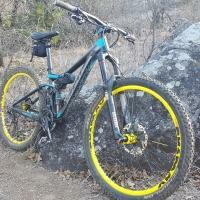 Review: Great trail for an afternoon on the road or commuter bike. A very long paved trail that offers scenic views of Tulsa. Major trailhead is close to a TREK superstore and places to eat. Very busy on the weekend, lots of foot and road cycle traffic. Review: Great paved trail that separates bikers from the walkers/runners. No mountain bike trails but does connect to the Turkey Mountain trail head parking lot and restrooms. Only issues are the areas under construction. Right now the trail is blocked off from 27th to 31st street for the Gathering Place construction. Review: Great place to road cycle or go for a job. All along the Arkansas River on a paved path. Very popular place. Review: Great paved ride loop around the river. This links to Turkey Mtn. Review: River Park Trail connects to pretty much any paved bike trail in the area. There are plenty of benches and water fountains to stop at on Riverside. You can ride from Sand Springs on Katy Trail ( which is almost reconnected due to hwy 75 bridge construction). From downtown Tulsa on Praire Trail as far north as Skiatook and deep into Broken Arrow on Liberty Trail that runs from Riverside st. following Creek Turnpike and ending at the NSU campus around 91st street and 101st street. The west side of the river trail goes right thru the Turkey Mountain area which is a great place to stop and rest. Review: Not a mtb trail. Scenic level, paved terrain more suitable for jogging and road bikes. Review: I road this last fall, on a great sunny warm day, with all the socker moms, joggers, and riders out:). Not a single track at all, but with a trail head to Turkey mountain off 71st street. It's a fun river park kind of trail, with lots of people on a week end day. You can do good cardio here on pavement if you like. The hill on the west side of the river N of 71st is chalenging going up, and there're bridges. 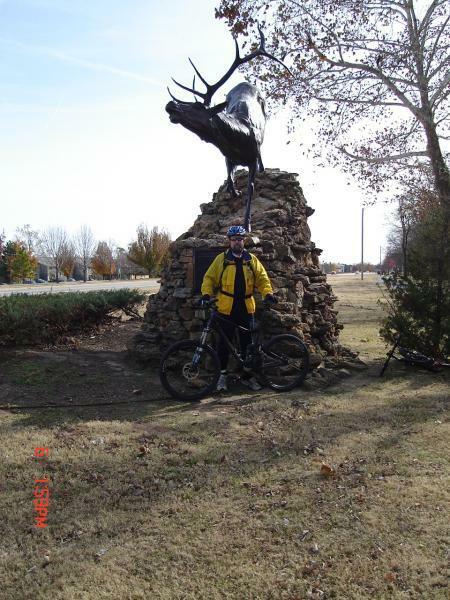 Also conects to another paved trail heading North out of Tulsa. Riverpark Trail MTB Trail 3.44 out of 5 based on 9 ratings. 9 user reviews.